Day 7 of the 2nd annual 12 Days of Christmas Giveaways on The Artful Parent features Imagine Childhood and Sarah’s Silks! Learn about their focus on quality toys, tools, and accessories for creative play. Plus, enter to win TWO $100 gift certificates – one for each of their online shops. Welcome to Day 7 of 12 Days of Christmas Giveaways on The Artful Parent! Today we turn it over to Imagine Childhood and Sarah’s Silks who will tell you more about their company and offer you the chance to win TWO gift certificates: $100 at Imagine Childhood and $100 to shop Sarah’s Silks online. *A big thank you to Imagine Childhood and Sarah’s Silks for sponsoring and writing this blog post. Imagine Childhood is a family owned and operated company specializing in earth-friendly goods, craft and activity tutorials, and educational supplies. All with the goal of supporting and nurturing the magic of childhood. Our carefully curated collection focuses on products that inspire children to create, imagine, and explore. With an emphasis on quality materials, our toys and tools are made for real kids and real adventures. Browse our 2018-2019 Lookbook for 200 pages of inspiring and thoughtful gifts, our largest collection yet! We’ve spent the last ten years combing the globe for unique heirloom quality toys, tools, games, and craft projects, many of which are $25 or less. We hope you enjoy it as much as we do! Sarah has been designing toys for almost 25 years that are well loved world-wide by early childhood teachers, children and families. Everything we make—playsilks, dress-ups, play clips, wavee boards, play frames, and streamers—are open ended, so kids add their imaginations to their play! Give your child a playsilk, you’ll be amazed at what they do! Shop Sarah’s Silks Now: Check out their stocking stuffers and holiday gift sets for creative play. You can use discount code ART15 for 15% off. Follow along with us on Instagram or Facebook for inspiring ideas for imaginative play with Sarah’s Silks! Prize 1: A $100 gift certificate to shop Imagine Childhood. Prize 2: A $100 gift certificate for use online at Sarah’s Silks. Imagine Childhood and Sarah’s Silks happily ship worldwide. To enter this giveaway, leave a comment below AND enter with the Rafflecopter widget. Giveaway closes December 10th at 11:59 pm EST. Open to readers around the world age 18 and up. We have a set of small play silks that I got my first baby on her first Christmas. She’s 12 now, and those silks are still frequently used by younger sister in her play. Wonderful product! Imagine Childhood is new to me. Their lookbook is so inspiring! I’m so glad to have been introduced to them, and glad for the chance to enter this great giveaway. Thank you! Really hope to win this! Have some items in my cart already from imaginechildhood! Been wanting to buy the slanted table for my 2.5yo ! My boys are very creative and always have ideas for pretend play.These silks would be a perfect gift for them. Absolutely beautiful. We have one silk that has been well loved over the past three years. It’s probably one of our most used toys. Would love to add more to our house! These are great for imaginative play, and my 4 year old has a great imagination! My daughter would love some open-ended toys from either of these amazing shops! The silks are so pretty. My daughter would love it. The Imagine Childhood has a great selection. Love this thanks for the chance my kids would have so much fun with the silks! I would love to introduce my 4 year old to play silks – they look like a great open-ended play option! And the toys from Imagine Childhood look beautiful! We have a set of silk scarves that my kids love to play with. This is a great gift that will be used for many years. Also the safari tent is incredible!!! I love all the non-plastic options! Thank you so much for the opportunity. We LOVE Imagine Childhood (we have quite a few of their plush animals), and although I’ve heard of Sarah’s Silks, we’ve never tried them. What a lovely giveaway! Theses products look amazing! We are planning to introduce silks soon and I can’t wait to watch the kids’ imaginations unfold. oh my goodness yes. This is what I want childhood to be. Would love those amazing silks! These look like great toys for open ended play! Open-ended play is the best! What a great giveaway for open ended play!!! Wrapping gifts in a playsilk is brilliant! I adore every one of these imaginative playthings. So many beautiful nonplastic options! My girls love play silks. They are so creative when they play with them. We live in a super small space, on a sailboat. Playsilks are the greatest! They pack down tiny and can be used for so many different games. We love our silks, and I adore the look of Imagine Childhood – it would be amazing to try some new beautiful imagination-sparking toys! I take care of my grandchildren and they would have so much fun with the play silks! I love to win this for my niece! Oh these silks!! Total heart eyes. They’re so much more fun than my $8 Amazon set lol!! Love the silks! They would get so much use at our house. We have a Sarah’s Silk at home that my daughter loves. Imagine Childhood has some great items that we’d love to check out! Looks interesting! I’m going to check out both sites. What beautiful toys. We recently discovered imagine childhood and love their products! I love open ended toys – love seeing the creativity it inspires! My girls just love open ended play, they will just love some of these toys! And the fox stuffy is adorable. That fox! These products looks amazing. What a gift this would be for children. The creative play that these could inspire seems endless. I love these silks!! My kiddo would love all the colors! so exciting and creative for my granddaughter. 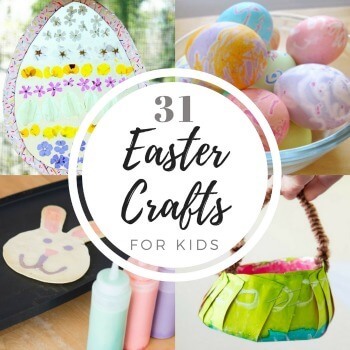 Such beautiful and unique ways for kids to be creative! Wow. What neat stores. My daughter loves rainbows right now. I love the creativity and attention to detail with both of these wonderful companies! You can tell both these companies have quality and children’s best interest at heart. I’m glad to be introduced to them both. Beautiful, my daughters would love this! Oooh, beautiful toys! What a fantastic prize! Both of those shops are favorites. So great! What an awesome giveaway! Thank you for the opportunity. I’ve just been thinking about how we need to replace the tattered play silks we’ve been using for nearly 8 years! Those silks look like so much fun. All of your products are beautiful! We would love some Sarah’s Silks! These are so playful and beautiful! Such beautiful toys, I would love to win this for my kids! We love both of these companies. Thanks for the great opportunity! I’d love both for my daughter! I LOVE Imagine Childhood and play silks. I used some of their items in my classroom but was never able to buy them for home. We would love to shop at both places!!!! We love playsilks, good for so many things. What a great idea to use as gift wrap too. Imagine childhood has some beautiful nature inspired toys I would love to share with my children. I love Sarah’s Silks. It’s an imaginative way to play. Wonderful products! Thanks so much for this opportunity! Playsilks are timeless and limitless fun. Love toys that foster imaginative play! The Sarah’s silks are beautiful and my family loves Imagine Choldhood, they have the highest quality toys that are timeless! Two wonderful stores! I’ve had some GREAT finds from Imagine Childhood! Thanks for the chance to win! Love love love!!! Love toys that bring out a magical childhood!!! Love both these companies so much. We have a few large playsilks and my kids love them so much. I love love love playsilks. Never heard of Imagine Childhood but the products look amazing. Play silks are the best!!! I’ve been looking at these silks for my 8 month old! Both of these companies have such beautiful and inspiring playthings! These are so much fun to play with…you don’t even think you are learning, but you are! What wonderful companies to win prizes from! yes! These are dreamy and just begging to be re-imagined into something. My kids would be in heaven. Thank you! The silks are beautiful! My daughter would have to get one. Such great open ended play opportunities from both amazing brands. Wow, great giveaways. Thank you! I’ve been wanting to get some Sarah’s silks for my creative little sprite – she’d be in heaven! Good luck to me? I’ve been drooling over Sarah’s Silks for years! I have ogled over Sarah silks online, they are so beautiful! Imagine Childhood looks amazing too! I love finding new small business toy makers! I love both Sarah’s Silks and Imagine Childhood. Thanks for the chance to win! LOVE these! I’ve had the wavee boards from Sarah’s Silks on my wishlist! We’ve dyed our own little square silks together, the kids and I, but I would still absolutely love to win this for one of the bigger ones… so beautiful! Have loved al the look books since I found you a few years back! Thank you so much for this chance! I would love to be able to get my littles something for each of these wonderful companies! I love both of those companies. They have such great items. Thank you for featuring two companies with great play items for kids. Always on the lookout for fun! Looks like hours of imaginative play! I had not heard of either of these companies. Thank you for introducing them ! My kids would do so much with the play silks. My daughter would love to win this one! So generous – thank you! (either would be amazing.) Happy holidays! Hand’s on play is one of the best ways to boost a child’s imagination! With an active imagination the sky is the limit. Thanks for the introduction to IMAGINE childhood! They remind me of Magic Cabin but way better! And oh those beloved Sarah’s Silks. Thanks for the opportunity to win this 2 in 1 giveaway! This company looks like they have the sweetest selection of toys. Great toys for imaginative play! Thanks for the chance to win. We just love Imagine Childhood & Sarah’s Silk’s – such wonderful ideas to capture the imagination & magic of being a kid! Before reading this post I had never visited the Imagine Childhood website but I am really glad I discovered it. I just found a ton items that my son would love to have and would really be great for him. We love sarahs play silks. So many uses for such a simple object. These are gorgeous! My four little ones would love these! These have got to be two of my favorite shops! I love their products, their commitment quality and FAMILY! Everything is so beautiful! Amazing giveaway! I purchase something every year for birthdays and Christmas from imagine childhood. This year I have two Sarah silks ordered from The Wooden Wagon to give to my youngest grand daughter. Two amazing companies. We love both of these companies for imaginative play! I love to wrap presents in colorful silks! We would love to add these beautiful materials to our play!! I wish I had toys like this growing up. I would love to gift any of these to my children to foster their creativity. Those foxes are adorable & mykiddos would love them! The safari tent is super cool too! Great giveaway! Lovely to win this. I’ve always wanted to add some play silks to our home! Both of these shops have brought my children great joy. What a lovely giveaway! Beautiful! My daughter loves dramatic play! How perfect! I love all the creative and non-traditional toys from Imagine Childhood! Such an amazing giveaway! We would love to gift our daughter some playsilks and any toys for open-ended play. I’ve looked through Imagine Childhood’s website and love everything they offer. And you can never go wrong with silks! I love all of the outdoor-oriented items at Imagine Childhood and I’d never thought of playing with silks – very cool! Thanks for introducing me to these two companies! Two great companies! We have silks that my kids received as infants that they still use almost daily in their imaginative play. And wow, what creative and beautiful things in this years lookbook! Thanks for offering such a fun giveaway! We don’t have any of these so would love to see how they work with a child’s play. These silks have been on my fun list for a while. Would be fun to win. I would have to get my nieces some dress up clothes. And those little foxes are so cute! Looks like so much fun. You can never go wrong with imaginative play. My kids love it. I’m obsessed with Sarah’s Silks! Would like to be a winner! Those silks are 😍😍. What an awesome prize! My 2 kiddos would love to win! My family and I would love to win these amazing products. We enthusiastically embrace open-ended toys that inspire creativity! Totally fun for my best friend’s twin girls! They have some awesome items, thanks for the chance. Each of these special brands have been long-time go-tos for me at those gifting times of year. Thank you for hosting! Wow, such great things for imaginative play! Such beautiful things that inspire creativity!! I love it! What lovely items! My kids would love to choose something! Sarah’s Silks are so wonderful. We have several and would love to add more to our collection! Our last ‘ribbon dancer’ finally fell apart–the rainbow colors here are so beautiful! Play silks are such a wonderful toy for imaginative play! My daughter would love the Sarah’s Silks Magical Unicorn play set! We have some playsilks that are always favorites- all of the products featured here look perfect for creative imaginative play! We have one Sarah’s silk that we love. We could really use more! Our one silk is used for everything from forts to capes to picnic blankets and beyond! There aren’t that many toys that I look at and can easily see my 10 month old and my 3.5 year old playing with TOGETHER – but these fit the bill! We love finding new ways to incorporate play silks into our creative play! Imagine Childhood…a beautiful shop! I’m pretty sure I want one of everything I see!! And the silks! So beautiful! Let children play! Beautiful. Good luck to all. This stuff looks amazing and so much fun! I’ve been eyeing up Sarah’s silks for ages, I’d love to be able to choose some of their beautiful playsilks for my two girls and think both the 4yo and 6mo would be able to enjoy them in different ways. Fingers crossed! I would love to shop either place. They both seem like great places. Imagine play is our very favorite!! !